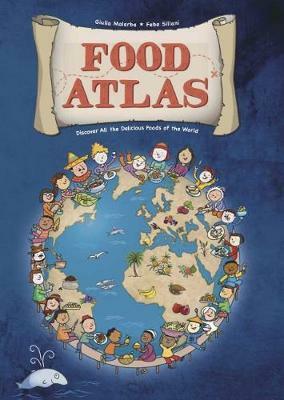 An international phenomenon, this large-format hardback guides young readers and adults on an illustrated voyage into the foods and ingredients of the six continents - with New Zealand, Australia and Fiji representing Oceania. Gorgeous, illustrated maps show in detail the most typical fruits and vegetables, meat, fish and cheese, cereals, beverages, herbs and spices for each region. One country at a time, the world of food takes shape, and children have fun exploring the gastronomical wonders of the Earth, discovering all of the differences along the way. Originally published in Italian and translated into 18 languages, Food Atlas has sold over 150,000 copies worldwide and Oratia is proud to bring an English edition Down Under. Giulia Malerba is a writer, editorial manager, and co-author of three cookbooks. This is her first children's book. She lives in Parma, Italy. Febe Sillani is the celebrated author or illustrator of over 80 children's books, many published internationally. She lives in Trieste, Italy.